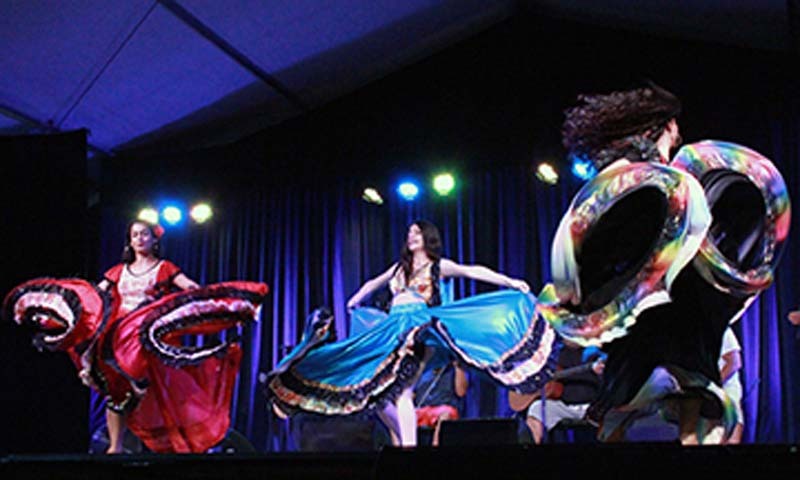 Royal Gypsies is a family group of Roma from Slovakia and the Czech Republic ,sharing traditional songs, amazing live music and dances of the Romani people from Eastern Europe. They have brought a new generation of performers in the family to share their traditional music and dance. A Balkan/Slovakian cultural experience of extraordinary polyphonic a cappella singing and fast intricate dances from Serbia, Kosovo, Bosnia, and, from Lika, dances without music , is followed by Slovakian Roma Gypsy dance and the glass-breaking pure sound of sweet Gypsy violin. Learn how to dance Gypsy - how to ruffle skirts and do easy dance sequences… then dance to the fabulous rhythms and wild music playing insanely exciting dance tunes.